Nice work with the new webpage layout! Can't believe DANZIG has new album out! As the new movie, Wonder Woman is coming out this summer, Sia has done a great job creating and recording a soundtrack for it. The song is called “To Be Human” and is sang featuring Labirinth. He’s a rising UK star know for his collab with Noah Cyrus. The lyrics are quite strong and emotional, we must say. This time the song wasn’t written by Sia herself. The author is Florence Welch from Florence + The Machine band. Rick Nowels also had his part in that, you must know him from collaborations with Adele and Marina and The Diamonds. The movie is out June 2nd, and so is the single going to be. Until then, you can check the audio version online. We hope you will like it as much as we do! Strong character and strong movie needs a strong soundtrack as well, so Sia was definitely a perfect choice. It’s the first superhero movie ever to be directed by a woman. This one is signed by Patty Jenkins. Starring Gal Gadot and Chris Pine, it’s already the movie of the Summer. Make sure to prepare yourself for it by listening to the soundtrack. To remind, Sia has already done some movie soundtracks. All of them were hugely successful, such as “Angel by the wings” and “Never Give Up”. This one is equally strong, equally mighty and beautiful in the same way. The lyrics have already stuck into our ears, as well as a beautiful synergy of Sia and Labirinth in the chorus. The announcements are telling it’s gonna be a very successful movie. To be more precise, it’s going to be the best DC movie so far. Parklife Festival audience in 2016. The organizers of the famous Manchester event announced that the Festival will carry on as planned. The music festival takes place at Manchester’s Heaton Park. The location is near the Manchester Arena, where the deadly explosion has occured on May 22nd. The Organizers announced they will not be defeated by such cowardice. To recall, in the Manchester attack, 22 people were killed and around 59 were injured on Ariana Grande’s concert in the Arena. The headliners to this year’s Festival are The 1975. It’s a band originating from Manchester, who already perform on the festival last year. Apart from The 1975 band, the performers are: Frank Ocean, Run the Jewels, Boy Better Know, Fatboy Slim, Two Door Cinema Club, Jess Glynne and Stormzyand many others. So far no one has cancelled the show. 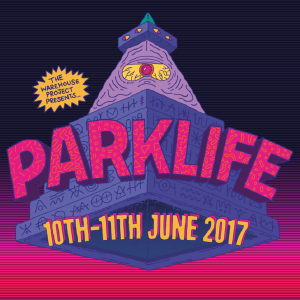 Due to the situation in Manchester, Parklife announces taking special safety measures in order to be safe during the Festival. We had to ask about their fears and predictions about the people coming to the Festival – since there’s not much time left until the beginning of the Festival. The Organizers tell how the number of the visitors will definitely be conditioned by the latest attack in Manchester. But, Parklife is an iconic event in Manchester, so the biggest number of those who wanted to visit, will visit anyway. No matter the tragedy, Festival tickets are selling really quick. So, if you want to get yourself one : better hurry! As you probably already know – it’s cheaper to buy the whole weekend ticket. But if you wish, you can buy separate one-day tickets. Regular Saturday tickets are sold out, but you can still get some of the Sunday ones. You can find them at Ticketmaster for a price of 59.50 £. In addition to your purchased tickets, you can get travel passes and/or VIP upgrades one every ticket. Travel passes are 5£ each day. VIP upgrade will cost you 25£ for every day of the Festival. Ed Sheeran’s record – breaking album is back again on top of this week’s Official Albums Chart. The album has come out 3 months ago, and since the release date it came off top of the list only for a week when Harry Styles’ new single was out, but is now back on. Nevertheless, it hasn’t come off Top 2 since the day 1. Ed is currently working on preparing his 2018 Australia tour. 705.000 tickets were sold out in less than 2 hours. That makes his tour the biggest one in Australian music history. Before Ed’s tour, the leading one was the one of Dire Straits, a cult rock band from the United Kingdom. It’s fun to mention how they only had 90.000 tickets sold during their tour back in 1986. His promoter, Michael Gudinski, says how Ed wants to add some more shows to the tour. Gudinski thinks there’s no time for that, but Ed really wants to go the extra mile in order to make his fans happy. They both knew the Tour was gonna be a hit. But, nobody hoped to beat the Dire Straits’ one and become the biggest Tour ever in Australian history. If we factor in the New Zealand tickets, we get to the number of more than 900.000 people who will see Ed Sheeran in the area. In addition to those in Australia itself, Ed is having six shows in NZ. There are going to be 9 shows in Australia. Perth will have the opportunity to see Ed twice. Sydney is having three concerts during the Grand Tour, and Melbourne holds the record with the sum of four concerts.That’s three concerts more than they originally planned to have, but Ed was determined to add more because of the great interest. All of the shows mentioned above are already sold out.